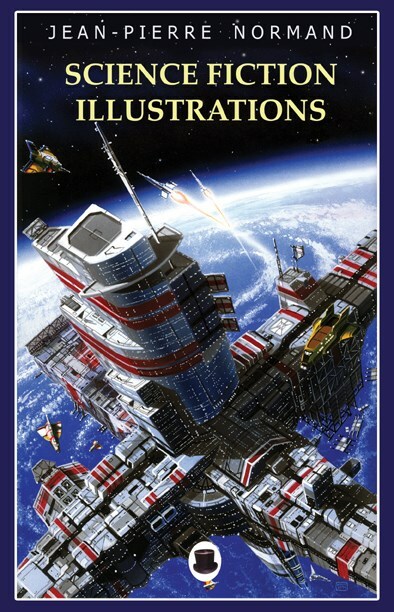 Jean-Pierre Normand is a professional illustrator, specializing in science fiction and fantasy for the past 30 years. Over two hundred book and magazine covers featuring his work has been published in Canada and the United States. He generally work in ink and liquid acrylic, applied with brush and air-brush on illustration board or canvas. His work has been shown at various conventions and other exhibits, winning several awards, notably the Aurora for artistic achievement in Canada in 1996, 1997, 1998, 1999, 2001 and 2004. His work was published in " Spectrum, the best in contemporary fantasy art ", and appeared on the covers of "Asimov's Science Fiction", "Analog", "On Spec" and "Science fiction Chronicle".